The Board of Directors of the New York State Broadcasters Association is proud to announce its Hall of Fame Class of 2018. The Class of 2018 will be inducted at the New York Leadership and Hall of Fame Luncheon during the NAB SHOW New York. The luncheon will take place at 12 noon on Thursday, October 18th at the Jacob Javits Center in NYC. Individuals working at stations that have been verified as members in good standing may register for free, using the code “HFL”. You may register for the Hall of Fame Luncheon on the NAB SHOW New York website HERE. 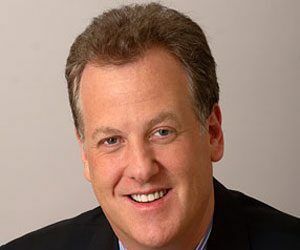 There would be no summer in New York without Michael Kay broadcasting the Yankees. This legendary broadcaster’s career spans a 27 year period. Kay has received nine Emmy Awards and thirty six Emmy nominations while working with the YES network. Kay won the 2015 New York Emmy Award as the best play-by-play announcer for his work on YES’ Yankees telecasts. He also won a 2017 Emmy for his CenterStage hosting duties. These are just a few of the awards he has received in his outstanding career. His work in radio is equally impressive. He currently hosts The Michael Kay Show, with Don La Greca and Peter Rosenberg, a sports talk show heard weekdays on ESPN Radio 98.7 FM in New York. Kay worked as Yankees analyst on WABC Radio from 1992 through the 2001 season. Kay was a winner of “Best Sports Reporter” honors at the 2000 New York Metro Achievement in Radio Awards. In 1998, Kay also began co-hosting Sports Talk with John Sterling and Michael Kay, a nightly sports radio call-in show which aired on WABC Radio during the winter months. A Bronx native, Michael has given back. Kay has been involved in the Baseball Assistance Team (B.A.T. ), a charitable organization whose mission is to provide assistance to members of the baseball community. He is active in the Alzheimer’s Association. He also teamed up with former Yankees manager Joe Girardi and Girardi’s Catch 25 Foundation to organize annual charity dinners to raise money for Alzheimer’s research. 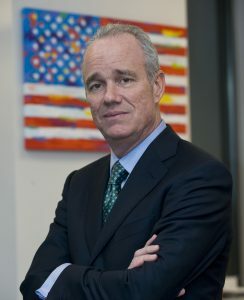 He is a long-time executive with the ABC Owned Television Stations Group, first served WABC-TV as President and General Manager from 2003-2007. Dave came to New York from Philadelphia where he was President and General Manager of WPVI-TV. He joined WPVI-TV in 1990 as news director and promoted to President and General Manager. Dave started his career in broadcast news in 1977 as an overnight news photographer for KTRK-TV, the ABC-owned station in Houston, and was moved through numerous news positions in Houston and Dallas before becoming news director at WTVD-TV in Raleigh-Durham. Dave was a tremendous supporter of the New York State Broadcasters Association, serving on the board of directors for more than a decade. He served a number of years on its Executive Committee as well as Chairman of the Board. We are honored to induct into our Hall of Fame two of Rochester’s most distinguished journalists. 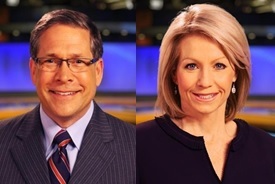 Doug Emblidge and Ginny Ryan have brought news to thousands of Rochester homes for a combined 66 years; have served as the co-anchors of 13WHAM News at 5:00 for more than two decades. In addition to co-anchoring with Emblidge, Ryan serves as the anchor of 13WHAM News at 10 on FOX Rochester, and co-anchors 13WHAM News at 11:00 with NYSBA Hall of Fame member Don Alhart. Emblidge is also one of the anchors of Good Day Rochester on 13WHAM ABC and FOX Rochester. After graduating Syracuse University, Emblidge joined WOKR-TV in 1983 to anchor a program called NewsScope. From 1986 to 1989, Doug anchored weeknight sportscasts. In 1989, he returned to news to anchor the station’s new 5 PM newscast. In 2000, Doug took on additional duties as anchor of 13WHAM News This Morning, which became Good Day Rochester. Ryan, a Rochester native, graduated from Buffalo State College. Two days after graduation, her career began as a reporter at WENY-TV in Elmira, New York. She was hired as a reporter by 13WHAM ABC in 1987. She anchored the morning and noon newscasts before doing the five, ten and eleven o’clock news. Doug and Ginny are firmly embedded in their communities and work to give back on a constant basis. Emblidge serves on the board at Pluta Cancer Center. Ryan serves on the board of the Ronald McDonald House Charities of Rochester. Simply stated Dan Ingram was a legend. A native of Flushing of New York, “Big Dan” began his radio career as a student at Hofstra’s radio station WHCH. “Big Dan” started his professional career at; WNRC, (Now WVOX) New Rochelle, New York; and WALK-FM, Patchogue, New York. After stops in Connecticut, Texas and St. Louis, he returned to the Empire State on WABC-AM radio in 1961. He stayed with Musicradio WABC for years until the top 40 format changed in 1982. Dan moved on to do a syndicated radio countdown program for CBS. He worked briefly at WKTU FM. In 1991 “Big Dan” enjoyed a revival on the classic rock powerhouse WCBS-FM, where he stayed until 2003. He was a very successful voice-over artist on many radio and TV advertisements. 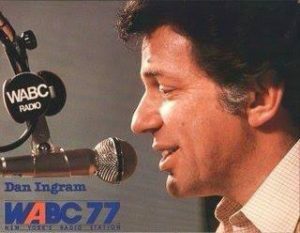 Dan Ingram was one of the most highly regarded DJs from his era. He became the standard by which others in the industry were measured. He influenced an entire generation of radio personalities. Dan’s unique ability to talk at the beginning of a song and end right when the lyrics started set him apart. His “talk ups” were quick, funny and often irreverent. Dan’s ability to spoof the titles of top rated songs was unsurpassed. Dan called his listeners “Kemosabea,” an appropriate moniker for the millions of his faithful fans. Dan was inducted into the National Radio hall of Fame in 2007. The New York State Broadcasters Hall of Fame is located at the S.I. Newhouse School of Public Communications at Syracuse University.